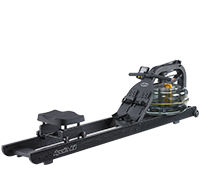 Stil-Fit rowing machines like the SFR-015 are rowing machines of an extremely high-quality workmanship meeting highest requirements in design and functionality. 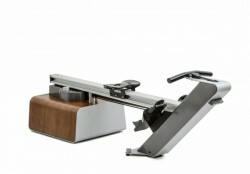 The water resistance system was developped in cooperation with the rowing machine specialist First Degree Fitness. Stil-Fit rowing machines fit in every living environment like a piece of furniture. The Stil-Fit rowing machine SFR-015 is the ideal machine for all, who want to work effectively and gently on their physical fitness. Rowing with water resistance is based on the high-quality Fluid Technology of FirstDegreeFitness. Rowing as ideal whole body training!